Saturday, 2/4/2012 @ 8:45 AM -- iPhone was "lost" (i.e., stolen). Called stolen iPhone and it rang four times before going to voicemail, suggesting that it was powered on and had reception. Used the "Find iPhone" app to locate the phone using the Apple ID credentials of the stolen iPhone, but it was unable locate the phone. Using the "Find iPhone" app, sent lock code to stolen iPhone to ensure that it was locked and required an unlock code to access the phone. Using the "Find iPhone" app, sent messages with sound to the stolen iPhone stating that the phone was lost and to call ###-###-#### (my Google Voice number). No response. Shortly thereafter the iPhone was powered down by the "someone" who had possession of the phone. I had the owner of the stolen iPhone change passwords to accounts accessed by the iPhone (e.g., Gmail, Dropbox, etc). Setup the email account used as the Apple ID of the stolen iPhone to forward a copy of all mail from "noreply@me.com" to an account I setup at Boxcar. The reason for doing this was to have push notifications sent to my phone moments after the stolen iPhone would be powered on and receive the commands that I sent from the "Find iPhone" app. There's a Boxcar iOS app that I installed on the device that I was doing the tracking from. Opted not to report the phone as stolen with AT&T yet since I wanted to be able to continue tracking the phone. Also opted not to remotely wipe the iPhone via the "Find iPhone" app for the same reason. The "Erase all data on iPhone after 10 failed passcode attempts" option was turned off on the iPhone. This was a good thing since it prevented the stolen iPhone from being wiped by 10 failed passcode entries and becoming un-trackable. Sunday, 2/5/2012 @ 10:00 AM -- the iPhone was powered on by "someone" and the location of the phone was identified. I received a push notification from Boxcar showing that an email from noreply@me.com was received. That meant that the stolen iPhone was powered on and was now locatable. Used both the "Find iPhone" and "Find Friends" iPhone apps by Apple to track the location of the phone. Another option was logging into iCloud with the Apple ID and password associated with the stolen iPhone ... which I did. Location of the phone tracked to a residential address. Used Google maps and street view to look at the house. Identified the owner of the house using PropertyShark. Gathered information about the owner using Intelius. Again, sent messages with sound to the stolen iPhone stating that the phone was lost and to call ###-###-#### (my Google Voice number). No response. The phone was powered down by the "someone" who had possession of the phone roughly five minutes after it was powered on. Checked AT&T for any unauthorized calls. There were no unauthorized calls. A police report was submitted online to the police department where the phone was stolen. The police department where the phone was currently located (different city than where the phone was stolen) would not accept a report directly since the theft occurred in a different city. Monday, 2/6/2012 @ 10:46 AM -- the iPhone was powered on and left on. Using both the "Find iPhone" and "Find Friends" apps, the GPS location of the stolen iPhone was the same address as the address that was identified on Sunday. A police report was submitted online to the police department. The location of theft was intentionally left vague, implying that the theft occurred in the city where the phone was currently being tracked to. The police department was willing to accept the incident report. Monday, 2/6/2012 @ 1:04 PM -- Called the records and dispatch departments of the PD from the city where the stolen iPhone was currently located. Gave the incident report tracking number to dispatch. After a lengthy conversation, dispatch agreed to send an officer to the house and that the officer would call me back if I needed to cause the stolen iPhone to make a sound. Monday, 2/6/2012 @ 1:36 PM -- Received a call from the responding officer. The police officer stated that he went to the residential address. The officer stated that the owners of the house were at the residence. The police officer gained possession of the phone. The police officer asked me for the unlock code and some contact data that was on the phone to verify ownership. The officer relayed the convoluted story that the individual who had stolen the iPhone told him. We agreed to check the phone into the police department's chain-of-custody and the stolen iPhone will be picked up by the rightful owner soon. Called the police department from where the phone was stolen, stated that the iPhone was retrieved by another police department, and the case was closed. ... and that's a happy ending. Apple has more information about locating a lost or stolen iPhone here. Hi, great post. I also had my iPhone lost/stolen. Reading through your timeline, I didn't understand this portion "I had the owner of the stolen iPhone change passwords to accounts accessed by the iPhone (e.g., Gmail, Dropbox, etc)." Can you explain that? Thanks for your writeup. I just had my iphone stolen. Unfortunately, I didnt know about the Find My iphone app, so I had not turned it on. I will definitely do that when I get a new iPhone. 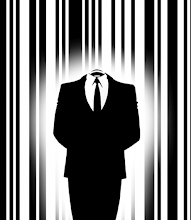 Anonymous - "I had the owner of the stolen iPhone change passwords to accounts accessed by the iPhone (e.g., Gmail, Dropbox, etc)." -- Change the passwords to accounts that were accessed from your phone. For example, let's assume you have a gmail account that you could access from your iPhone. Go to gmail and change that password. If you have the DropBox app installed on your iPhone, go to the DropBox website and change that password. Netflix - do the same. etc, etc... I hope that helps. I would agree, Apple provides great services and awesome apps to their clients. I have installed "find my iPhone" on my iPhone for security purposes. This story was helpful to us to get alarmed. i'm going through this exact situation right now. waiting for police department to call me when they check the address the phone last ping'd from.